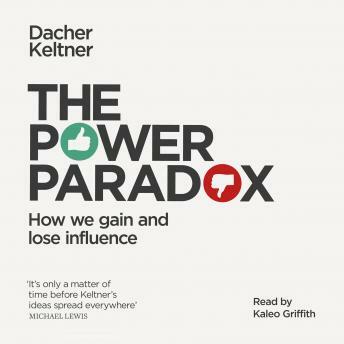 Penguin presents the unabridged, downloadable, audiobook edition of The Power Paradox by Dacher Keltner, read by Kaleo Griffith. The Machiavellian view of power as a coercive force is one of the deepest currents in our culture, yet new psychological research reveals this vision to be dead wrong. Influence is gained instead through social intelligence and empathy - but ironically the seductions of power make us lose the very qualities that made us powerful in the first place. By drawing on fascinating case studies that debunk longstanding myths, Dacher Keltner illuminates this 'power paradox', revealing how it shapes not just boardrooms and elections but everyday relationships, and affects whether or not we will have an affair, break the law or find our purpose in life.